Missing links in the archive? Si vous êtes marié(e) à un(e) français(e), vous pouvez acquérir la nationalité française par déclaration. You should see a sentence in French, including all accents (circonflexe, aigu, grave and cédille), a sentence from the Chinese constitution in simplified characters, followed by the same sentence in traditional characters. If your browser does not display simplified and/or traditional Chinese characters, you should install Chinese language support packs on your system. Microsoft users can go directly to Windows Update to download the necessary language support packs. 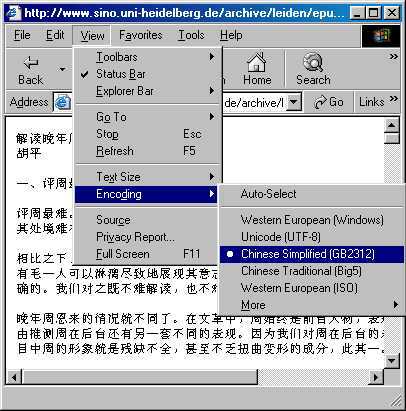 If you use another system or if you want to read more about using Chinese on the computer, please visit the Chinese Computing Website. 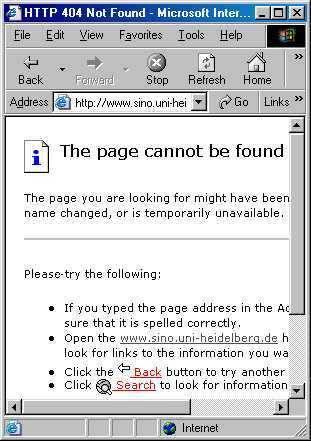 The first error message (The page cannot be found) could mean that the page was not available in the first place when we downloaded the Website, or that the page you request was indeed available on the original server but was not part of our download selection. 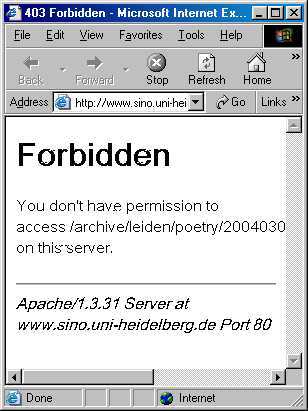 The second error message (Forbidden) could occur when trying to follow a link that leads to another (part of the) domain. It means that the linked URL was not part of our download selection. For all other technical problems or questions about the DACHS archive you are welcome to contact us. Last update: 27 Jul 2004 (RVC).